Want to feel old? No? Well too bad, because Lupe Fiasco’s classic album, Food & Liquor, turned 10 this week. That’s right, the project that kick pushed Lupe onto the map and convinced a lot of people, including me, that hip-hop had a new elite emcee to reckon with, is now old enough to be in fifth grade. September 19, 2006 – after that day nothing was the same, and to celebrate Lupe recorded an hour-long talk detailing his memories of the release. His no-interviews rule is still apparently very much in effect, and right now it’s hard to argue with the man. Why have your words intermediated when you can just speak directly to the people? Unfortunately, Lupe’s memories of that time are admittedly hazy – I could have used about 19 more Jay Z stories, thanks – but the one area he’s still pretty clear on is the creation of Food & Liquor‘s album cover. Over the course of nearly an hour Lupe ends up doing a Mariana Trench level deep dive into the details of the cover, breaking down the story behind each and every object, which it turns out is actually an excellent portal into both the album and Lupe, as each object represents a part of his life and art. Feel free to listen to the complete podcast, it’s good times, but here’s a quick cheat sheet. And before we get started, you’re going to want to stare at the cover for a minute and then check back frequently. The cover was designed by Chuck Anderson (aka No Pattern), whose trademark was that kind of light splice and light bubble imagery. 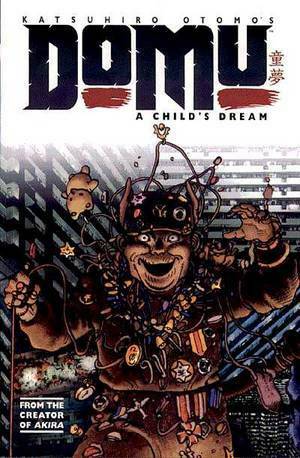 The baseline inspiration was the work of the Japanese manga artist Katsuhiro Otomo, specifically the cover for Domu, which features the main character floating surrounded by collected objects. That image kept popping up in Lupe’s life, from the time he first saw it on the cover of the comic to seeing it as a skateboard deck years later. When the time came to finally do his album cover, he already knew what the image had to be. It was actually shot by having Lupe lay down on a green mat, then the objects were suspended on clear wire to make them appear as if they were floating. Lupe’s brand new Cartier glasses, one of his first high end purchases. There are a number of pictures of him at that time wearing the frames. A Quran given to him by his father, representing his spiritual beginnings. Although he wasn’t “raised” Muslim, he says he was born Muslim. A mini-mag that he believes was called Philosophy, from the Japanese streetwear brand W)Taps. Japanese culture and brands are the pre-dominant theme of the cover. A We Ninja plush toy that he seems almost embarrassed to admit he used to wear from his belt. His actual phone at the time, which was an early touchscreen that also had a keyboard that could be connected to it. He began writing his ongoing book, Reflections of a Window Washer, on it. A drawing of Lupe as a ninja, holding a sword and in front of a Porsche. This was Carrera Lu, Lupe’s comic book alter ego – there’s also a song named “Carrera Lu” that’s a bonus track on some versions of Food & Liquor. A blue camouflage toy that represents his friend Hardy [sp? ], who was always doing head stands. Another toy from a Japanese brand, which at the time was called LMAC. He has no idea what those coins are that are floating near the toys. A Nintendo cartridge that had to be turned backwards so they wouldn’t have to clear the image on the front – he believes it was for Contra but can’t be totally sure. On to his outfit: The jacket is from the British brand Maharishi, which Lupe would go on to collaborate with. The jeans are Levis, the shirt is LMAC and features a picture of Devon Aoki (Steve Aoki’s sister) and the shoes were custom made in Singapore and were originally white Chuck Taylors. The boombox is just a friend’s radio he grabbed for the shoot. If you look closely, he’s also wearing a custom ring that was later stolen from him in a Dallas airport bathroom. His Levi’s wallet at the time – told you the loved Levi’s. His father’s dog tags – the second time his father is directly represented here. His Gameboy Advance, this one might have even been a 3D version. Lupe’s never been shy about his love for Gameboys. A Banksy postcard. It’s not this one exactly, but from the same series. A copy of his Fahrenheit 1/15 mixtape that first earned him his first real buzz. Jay Z’s cousin Bee-High was a fan, which helps explain some things, and if you happen to have an original copy of the mixtape let Lupe know, he doesn’t even have one himself. A drawing from his Revenge of the Nerds mixtape, featuring the main character riding in a robot, which also foreshadows the “Daydreaming” video. When Lupe says, “Come Seymour, we have things to do,” in the song “And He Gets the Girl,” it’s a reference to Seymour, which is the robot. Well…that was appropriately detailed for a man whose rhymes were essentially the reason Rap Genius was invented. If anything, it’s another reminder of just how creatively ahead of his time Lupe Fiasco was, and is. Just like his lyricism, his album covers were intricately sourced and he was merging a vast array of influences that included fashion, toys and brands a decade before that would come into the mainstream. Lupe’s a true visionary, and this tour through his album cover is an excellent microcosm the most detailed account of his vision we’ve got yet. May Food & Liquor live another 100 years.